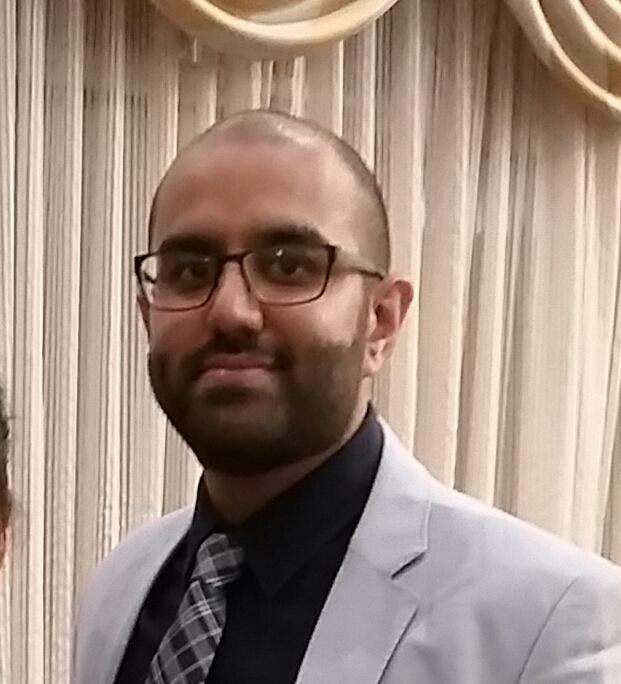 Minesh Kapadia graduated from the MiNDS program in November 2015. He is an intelligent and talented young researcher who sat down with us to share his experiences and advice on defending your thesis and finding a job after you graduate. How did you prepare mentally for your defence? While a defence is certainly an intimidating proposition, I found it helpful to remind myself that it is a unique opportunity to share my research and passion for the work with colleagues and faculty. As much as they are trying to probe your knowledge about the topic, it’s important to remember that they are also genuinely interested in learning about the project and how it advances our scientific understanding. How much time did you dedicate to your preparation? Although the preparation of the thesis took several months, I dedicated just over 2 weeks to the preparation of the defence presentation. How often did you visit/consult with members of your committee? I was in constant communication with my supervisor during my defence preparation. This included personal meetings to ask questions, sending a copy of my dissertation for feedback and presenting my defence to others beforehand. Any words on how to prepare for your external committee member? I found it particularly useful to do a quick search of their research and interests. This allowed me to craft my presentation to include details they may not be aware of, as well as anticipate some of the questions they would likely ask and the issues they may raise for further research. What kind of thesis format did you choose and why? I decided to write a sandwich thesis mainly because I had already prepared a few manuscripts for my projects. Once I was given permission to write I discussed it with my supervisor and we decided that a sandwich thesis was the best option. It also helped me prepare the last manuscript that I was working on. Now that it is all said and done, is there anything you would have done differently in regards to your defence preparation, or thesis write up? If I could do it again, I would have liked to begin writing my draft earlier than I did. This has more to do with the way I write than anything else, but I would have liked to spend more time focusing on the broader scope of my project and less on specific structure of certain paragraphs and sentences. Do you have any suggestions to help relieve stress when writing and preparing to defend? What did you do to relax? I remembered some of the supportive and motivational statements my supervisor (Dr. Boris Sakic) would share with me before presentations. In particular, he would remind me that even as a graduate student, I will likely be more knowledgeable on the topic that any other member of the audience. That always gave me some additional confidence when I was feeling nervous about a presentation. What did you do immediately after your defence? I spent some time with my family, friends, and my supervisor. Any words of advice for students defending in the near future? Enjoy the process and be proud of the work you have done. Remind yourself what drove you to become a scientist and share that passion with everyone willing to hear it. - A spa date in Ancaster. - A walk through Gage park after dark. - Riding a unicycle through a minefield. - Walking blindfolded across Main Street during rush hour. I would say, a walk through Gage park after dark. There is a huge difference between that first option and the second one (laughs). I am currently a postdoctoral fellow at McMaster University working under the supervision of Dr. Margaret Fahnestock. My particular project investigates early immune activation in Alzheimer's-like disease and the role of specific immune cells/proteins on markers of learning/memory as well as amyloid-beta and tau pathology. Although my graduate work focused on lupus of the nervous system in Dr. Boris Sakic's lab, the current project serves as an extension of our group’s serendipitous discovery of autoimmune manifestations in a widely-used model of Alzheimer’s Disease. However, I decided to advance this work in another laboratory where I can further develop my skills in the hopes of becoming an independent researcher. Was it difficult finding a post-doc position in your field after you graduated? I did not find it difficult to find a post-doc position, but it was definitely difficult to find the RIGHT post-doc position. I differentiate the two because there are many opportunities out there, but few that offer the right balance of support, autonomy, and professional development. Any advice for those looking for a job right now? As a recent graduate with a neuroscience background, I have no doubt that many of the readers of the MiNDS newsletter are intelligent and capable scientists and will be well-suited for just about any opportunity that may come their way. Based on my experience, I would advise students and readers to consider their research interests and overall career goals and to honestly evaluate where you stand in terms of development. Consider the scientific environment you will be joining and ask yourself whether you can see yourself spending 8-10+ hours there each day. Is this the opportunity that will incite the passion and dedication required of a fledging scientist? Are you proud of the work you will be doing there? I believe these are all facets that are very important to consider, but may not be readily apparent if one is only looking at the lab’s publication record, funding situation or research institute. Is there anything else that you would like to add or is there a story that you would like to share about your experiences? If I could reiterate one important point, it's the importance of finding the right laboratory for you. As graduate students, many of you will face important professional and personal decisions during your time at McMaster. More often than not, the choices you make will have drastic consequences on both your professional and personal lives. In my experience, I found that making these decisions can be much easier when you have a supportive and understanding supervisor.